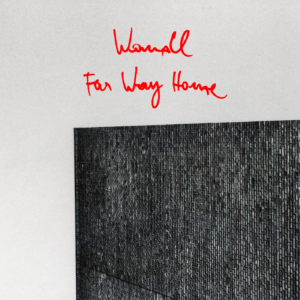 Affine Records is proud to announce the 5 track EP „Far Way Home“ by newcomer of the year, Wandl. A clear concept throughout with an emphasis on his personal strengths. Wandl builds with playful simplicity low-flying and tightly braided beats, adds deep chord progressions and blurry soundscapes which he combines with free-floating vocals and excellent songwriting. A flickering body of work filled with dynamic instrumentals, engaging melodies on the open ended emotional scale and various twists and turns. The 20 year old Vienna based producer created this release for extended daydreams and deep trips around midnight. Wandl has just arrived, far way home.